Dyer will be responsible for promoting an inclusive environment throughout the campus, as well as updating policies, trainings and connections among faculty, staff and administration. He currently serves as the program coordinator of the University of Cincinnati LGBTQ Center where he has worked collaboratively to promote program development, outreach and assessment. Dyer holds a leadership position on the Governance Board of the Midwest Institute for Sexuality and Gender Diversity. 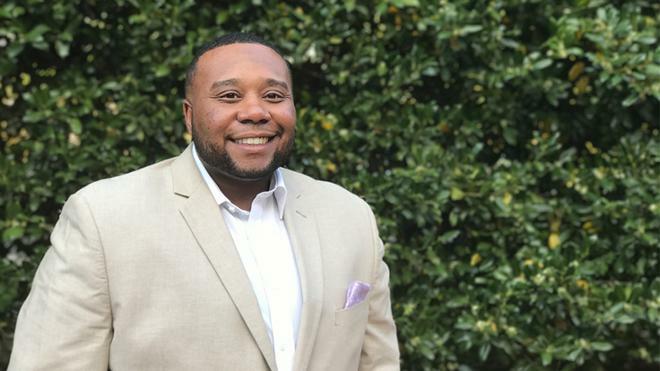 He received a bachelor’s degree in political science from Dillard University in New Orleans and a master’s degree in public administration from North Carolina Central University in Durham. “We were delighted that such a wide variety of members of our campus community participated in the search for this position," Common Ground Director Glyn Hughes said. “It showcases that our campus is invested in learning about and responding to the needs of the LGBTQ community, and we are confident Lee will continue that positivity." The Office of Common Ground, the university’s diversity, social justice and community building initiative, was founded in 2006. UR was named one of seven "brave campuses for LGBTQ students in the South" in 2014 by The Advocate, and was the first university in the region to create nondiscrimination polices that include gender identity and expression, effective in 2011.